Fall is my favorite time of year and we are already seeing some cooler temps in our area. 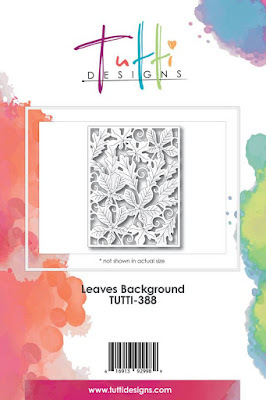 The rich colors of fall are always fun to create with and Tutti Designs has some great new Fall dies! To make this card I used the new Fall Flourish Die. I cut the die cut from coordinating colored cards stock, in this case it was a deep aqua. Create your background and adhere to the card base. Adhere your flourishes and centerpiece to cent of the card. celebrating our July Release with all things Christmas! So Festive! Here is a simple designed card using a magnificent Tutti Designs Store die. These cards only measure 4 1/4 squared. They are great for little notes or even a gift tag. I wanted to keep them fairly simple and let the die work it's magic. 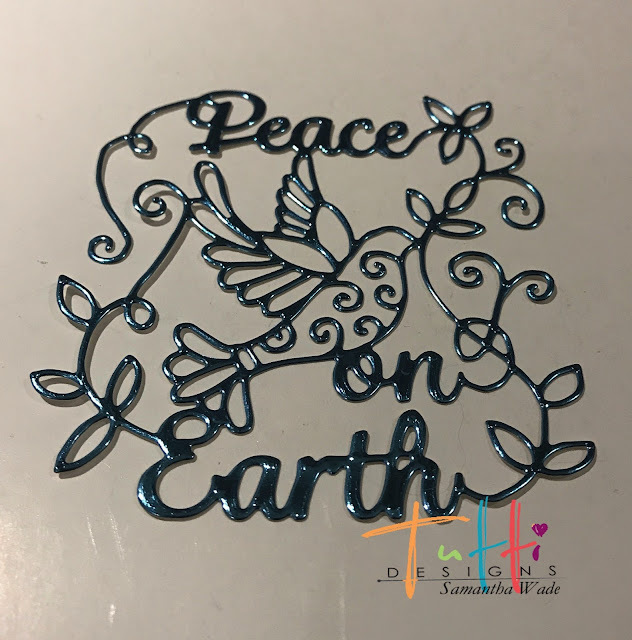 Die cutting each Merry Christmas die in a wonderful foil. Green, Gold and Hot Pink. I also added splatters of craft paints and matching sequins in the Green, Gold and Hot Pink. Topped each little snowflake with an Adhesive pearl for accent. Hello die cut lovers! Autumn with you today to share a little mini album tutorial featuring several dies from our new fall collection. This fun fold has three tags nestled in the pockets making it a dimensional and interactive album. The entire album is made from one sheet of 12x12 paper, with a few scraps for tags and the die cut elements. Cut a sheet of two-sided scrapbook paper to 8.5” x 12”. I used Authentique paper here. Score at 6” along the 8.5” side. Fold the 2.5” piece up to create the pockets. Burnish well. Open and score at 4”, and 8” along the 12” side. Fold the pockets back up. Accordion fold with the front panel having a pocket. Burnish well. Before securing the side pocket edges closed, make sure to attach ribbons for closure. Notice in the above folding the opposite ribbon is on the left of the inside center section. I used a snip of paper to cover where I attached the ribbon there. 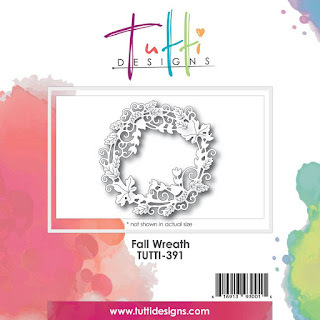 The Fall Wreath layered perfectly over the Leaves Background die, which fit just right into the first panel. The Fancy Pumpkin also fit perfectly and the flourishes showed nicely along the sides of my tag insert. 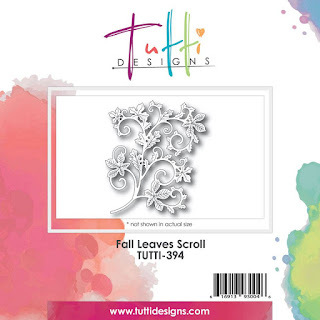 The Fall Leaves Scroll also tucked in beautifully. I printed a variety of family photos with one side measuring 3.15" This was the perfect size for the second largest Nesting Stitched Square die, which measures 3". I cut a mat for the photos and then matched up a second photo and mat on the backside of each tag. I love the finished edge this adds to the photos! I hope you are inspired by today's project. Make sure to check out the entire fall collection for more beautiful product inspiration! This week I'm using the fun "Festive Reindeer" die from the July Release. Again, there are so many creative options with a die like this! I began with a 5 1/2" square card base, matted with decorative paper. I cut the Festive Reindeer from the same cardstock as the card base. I added them to the card base using foam tape. Then I filled in his nose with some pretty Star Dust Stickles. the only addition needed was a pretty bow! 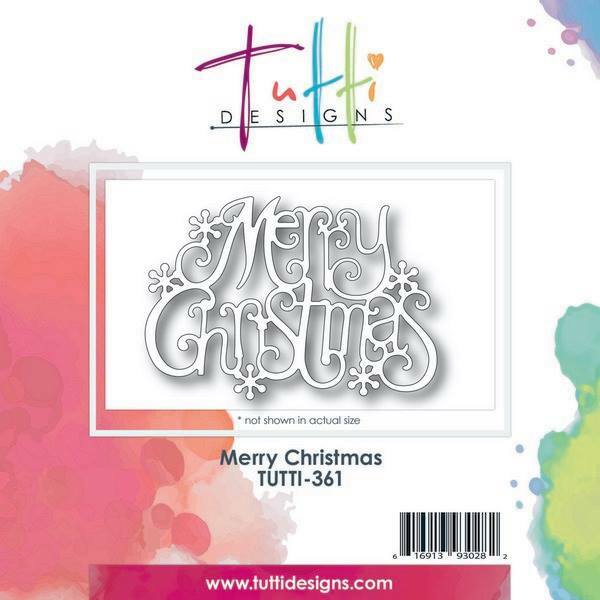 Darlene with you today sharing another fun holiday card using dies from the Tutti Designs July Release. If you are in need of some fabulous holiday dies to make quick & beautiful Christmas cards, then you need not go any further than the Tutti Designs Store. You will find awesome holiday dies in both the current July 2017 Release as well as the July 2016 Release. Check it out won't you!! Today I chose to color my die cut using Spectrum Noir Markers and after coloring, REINSERT the packages inside the sleigh. Here's a few photos to share on the topic . 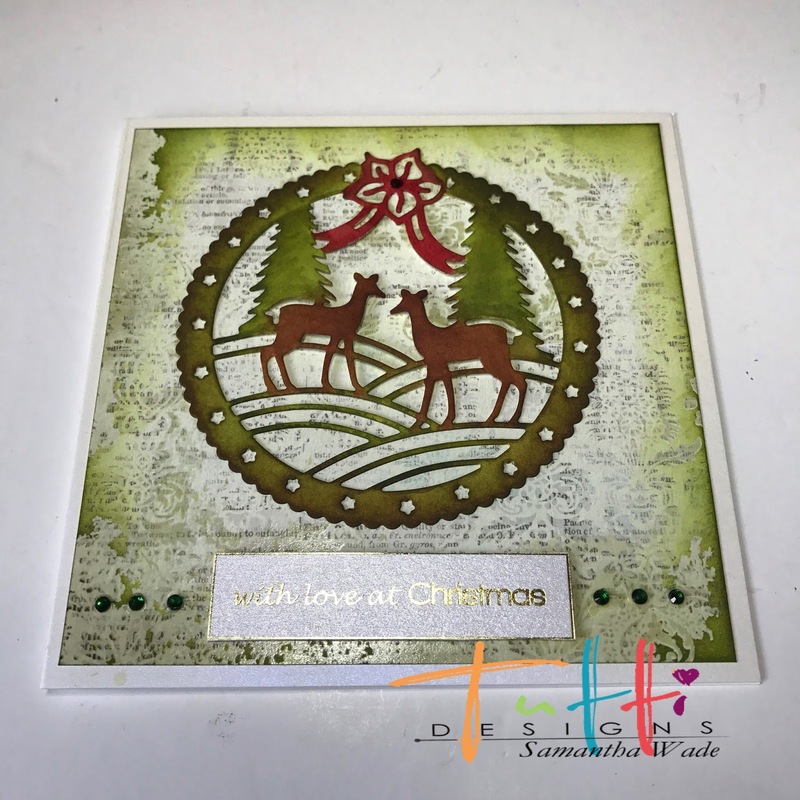 . .
After coloring, I die cut a circle using the next to the largest Tutti Stitched Nesting Circle dies from a scrap of 6x12 snowflake paper to create the background for my Christmas Night. Then I adhered my Christmas Night panel and reinserted the colored pieces inside the sleigh. Lastly, I die cut a white circle panel using the largest die in the Stitched Nesting Circle set. and a sentiment from the Tutti Snowglobe Expressions set. add the illusion of falling snow. Back to normal and I have a lovely die to share with you today. I have used a pretty blue mirror card from crafters companion, it really looks like metal and cut like a dream and really does not need much else as the die has so much detail. For the background, i have embossed white card with a 3D snowflake folder from crafters companion, and coloured with distress ink and gilding wax and added a ribbon. 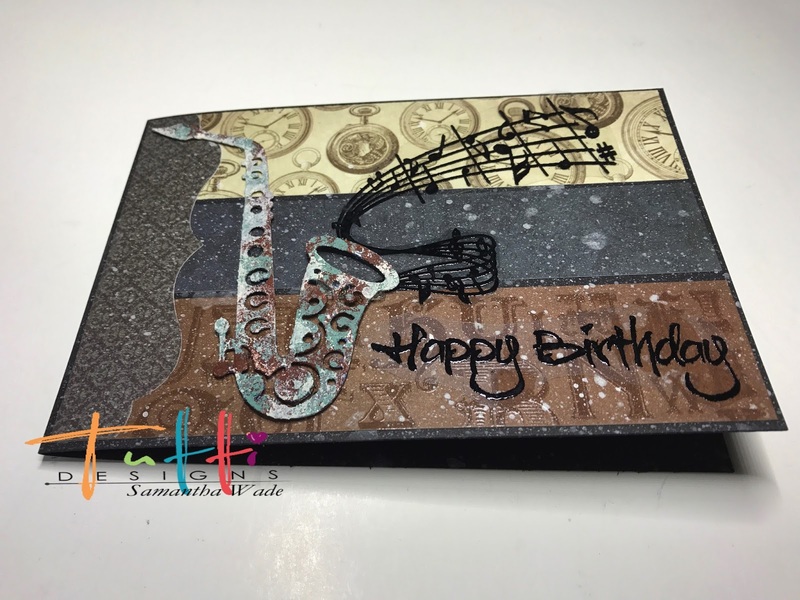 Layered the background onto a card blank and glued the dove die cut on top. 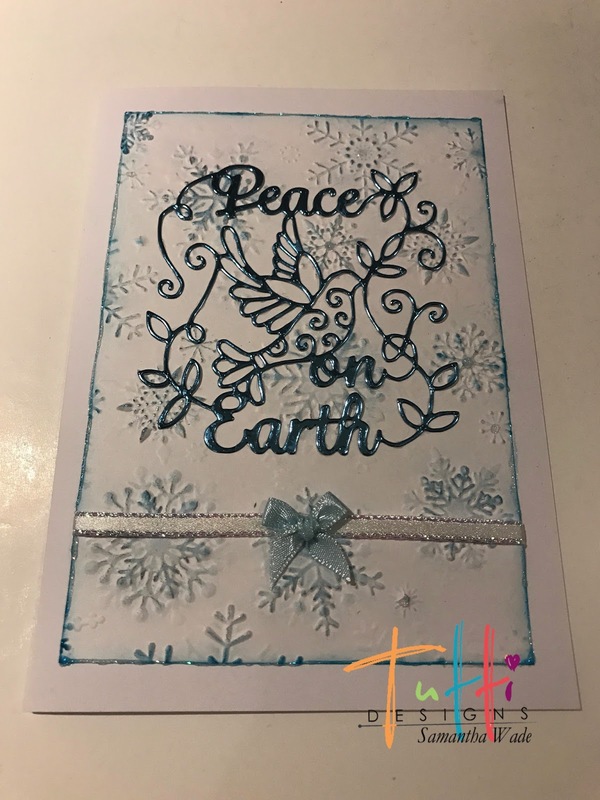 The perfect quick and easy, elegant Christmas card. October 2016 Release Garden Trellis. A little close up. Not only are these dies beautiful they cut perfectly every time!! Have you started your Christmas cards yet? Tutti Designs has so many fun dies for Christmas, Thanksgiving and many other occasions so be sure to stop by and check those out too! We are still celebrating our Christmas and Holiday July Release in the Tutti Designs Store. Let me shed some light on my Holiday card using this fabulous Holiday Lantern. I simply die cut twice and colored with Copic Markers. I also added a few layers of the little stars by die cutting several more times. I wanted the Holiday Lantern to appear as if it were on a decorated mantle, nestled in some pretty Holly Boughs. My sentiment picks up on the sparkle and shine of my glitter. Just 2 layers this time to add that depth and dimension. Hello Tutti fans! Christmas creatacation continues with my all time favorite Tutti Designs Christmas die! I simply love the Viney Christmas Tree die cut for its intricate lines and sleek silhouettes! 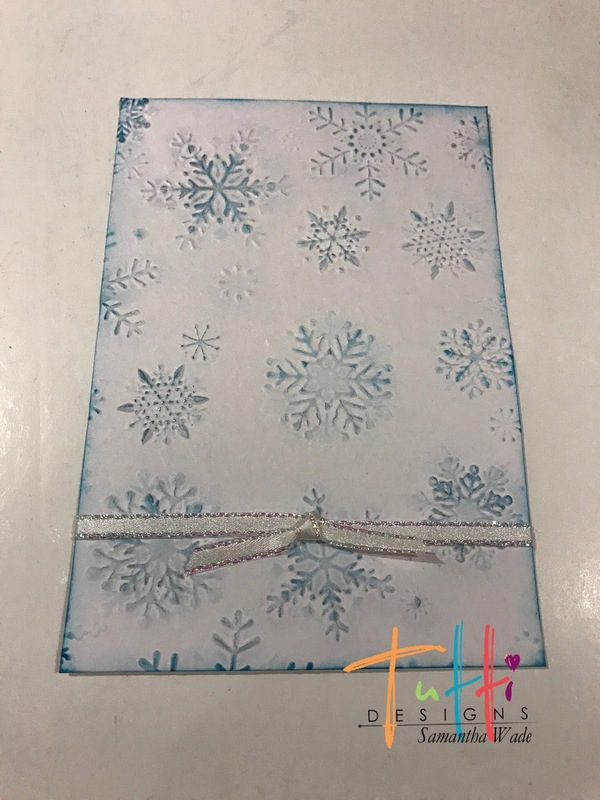 I made this winter nights card with Distress Inks and a DIY snowfall stencil. My friends and I were having an art weekend and decided to make our own snowfall stencil with a Japanese screw punch onto plastic sheeting. It takes a little effort, but the end result was fabulous! Just punch into the plastic over a cutting board making more punches at the top and fewer at the bottom for a falling look. I used my ribbon wrap to help highlight the words at the bottom of the die and stamped a coordinating sentiment. I hope you like it and will give the stencil making a try. 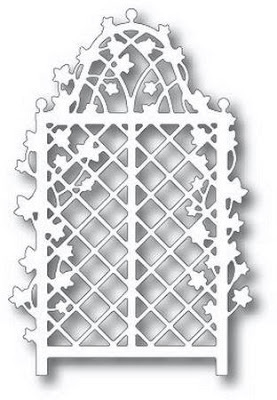 Purchase your Viney Christmas Tree die HERE today!